Happy Friday everyone. 13 sleeps to go till Christmas!!! Today's is all about my outfit choice for a Christmas Party. There will be a two options as I'm very indecisive when it comes to my outfit. Makeup I can decide straight away, outfit, not so much. 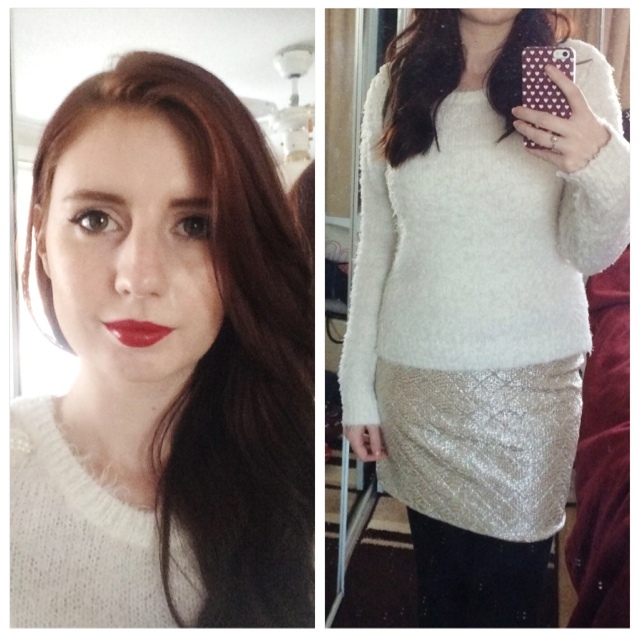 I saw this Gold Skirt from Miss Selfridge on Black Friday and totally fell in love. I've been looking for something like this all year so I'm really happy I found one. I always wear black tights during winter so a Christmas party is no exception, but you could apply some fake tan and get those legs out, I'm just not that brave as the UK is freezing. 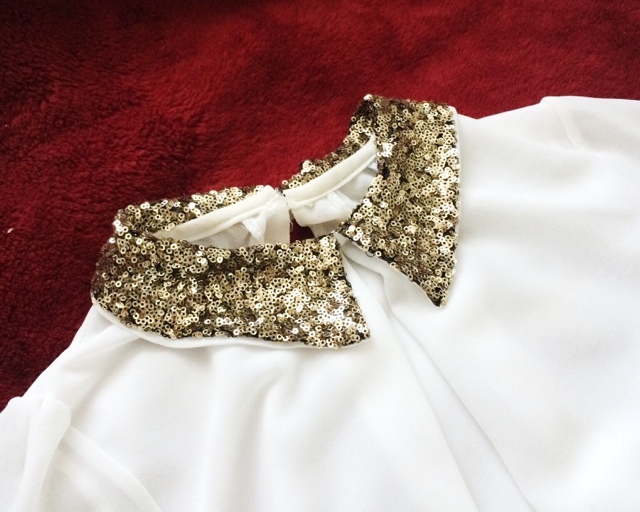 I then paired it with a sheer White Blouse with a Gold Sequin Collar. I love the style of this and surprisingly goes with a lot of things. The gold sequin collar goes well with the skirt and just ties the whole outfit up. 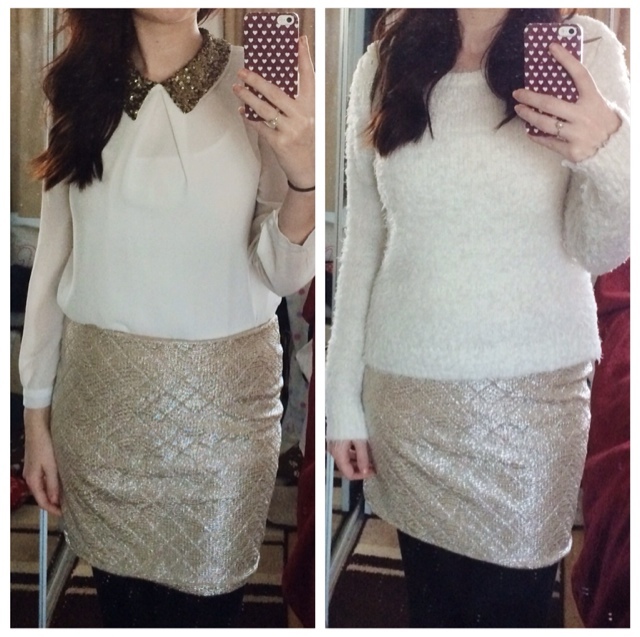 Keeping with the gold skirt, it also looks really nice with this white fluffy jumper from New Look. 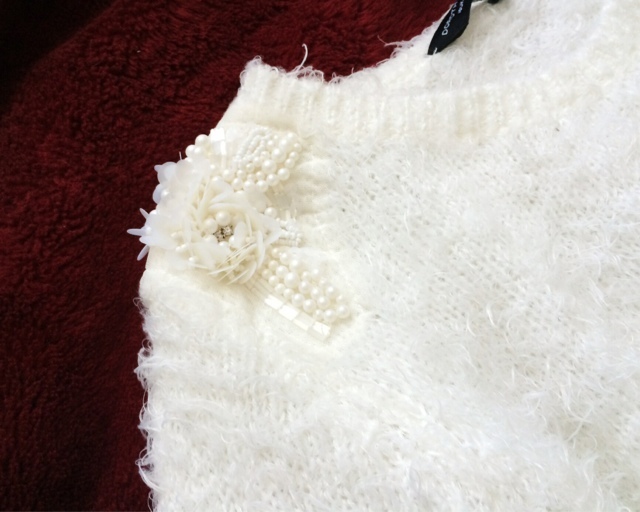 This jumper is still smart and dressy enough to wear for a Christmas party as it has the shoulder detail which just adds a formal touch to it without being over the top. With a nice up do to show off the shoulders, this jumper goes with anything. Plus, it's super warm and cosy. 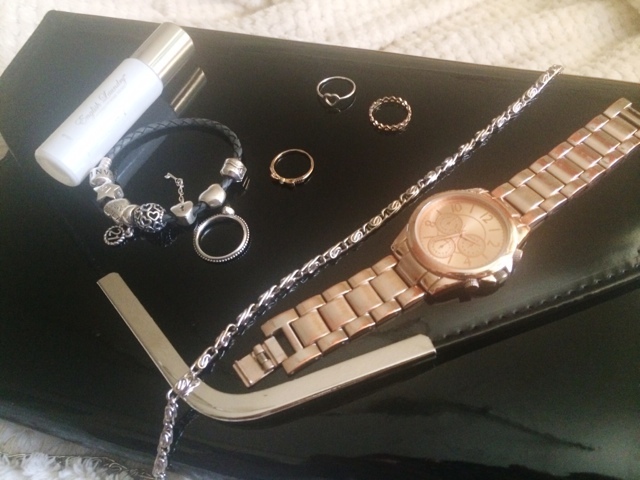 Because outfit 1 has the sequin detail, and outfit 2 has the shoulder detail, I don't need a necklace or anything, so just paired each outfit with my Pandora Braclet and Rings and then added my Rose Gold Watch from New Look and then a few midi rings to bling it up a bit and that's the accessories done. 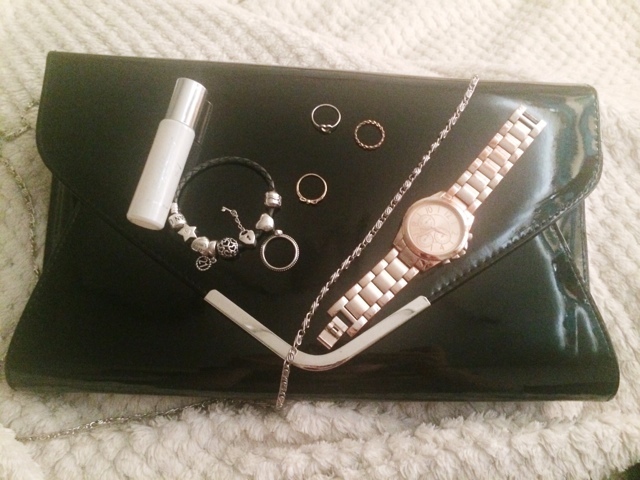 I then dug out my Black Clutch Bag from Barratts. Paired that with my Black Patent Shoes from New Look (I think). I don't do heels, obviously, so flat shoes will have to do. Here's how my makeup and final outfit looks. Hope you liked this weeks Christmas party get ready with me style.